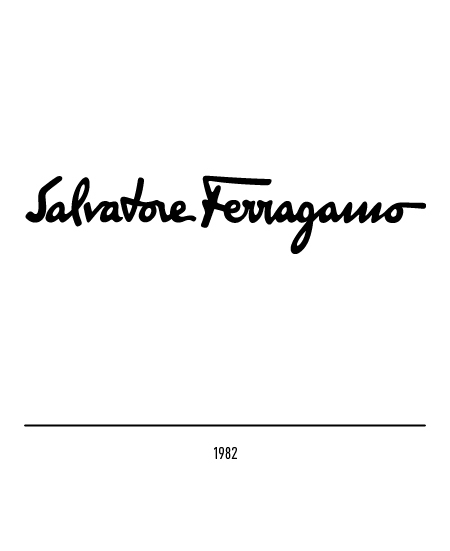 Fashion house established in Florence by Salvatore Ferragamo (originally from Avellino) in 1927. 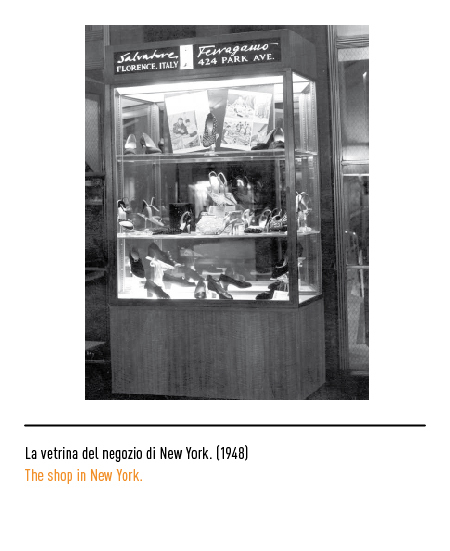 In 1914 he moved to Boston in the USA, carrying his passion for shoes and the great crafting skills. 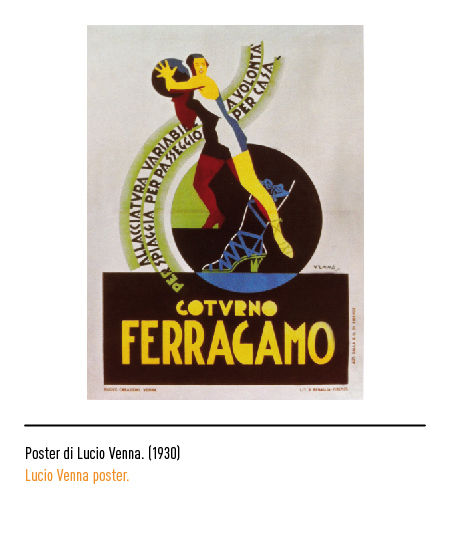 In the early twenties he moves to Santa Barbara, California, where he opens a shop for shoes fixing. 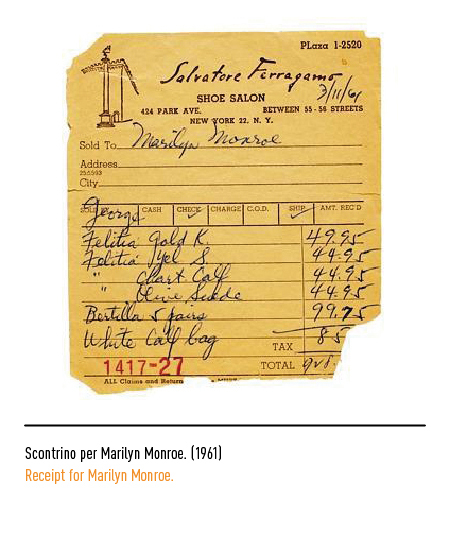 California was, in those years, the great wonderland where the movie industry was starting to flourish; this translated in a high request of custom made shoes, which of course meant that Salvatore Ferragamo became the "shoemaker of the stars". 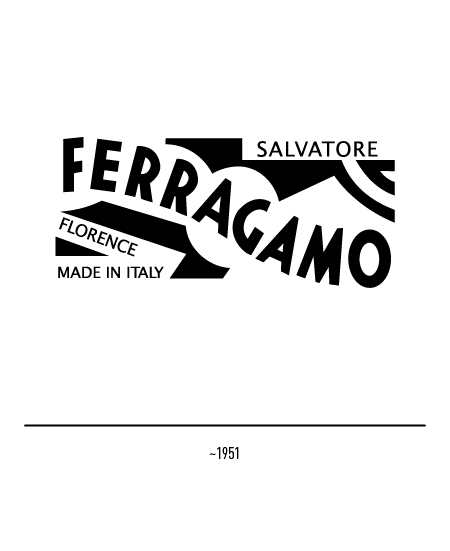 Due to the high manufacturing costs and the lack of capable craftsmen, in 1927 Ferragamo goes back to Italy and establishes the "Ferragamo Shoe factory"; in a photo of the time, the well known typographic logotype appeared already. 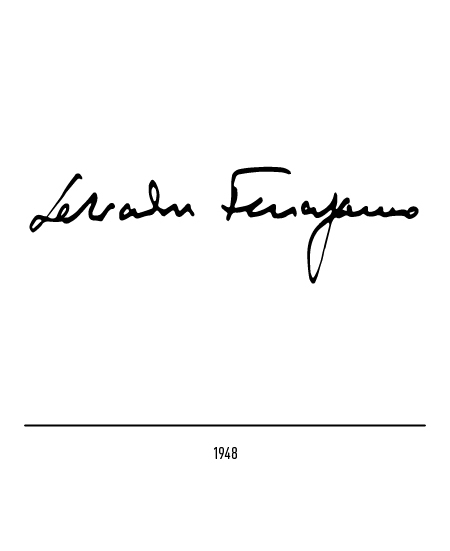 In 1930 the futuristic artist Lucio Venna is appointed to come up with the first advertisement campaign and the first tag-logo "Ferragamo's creations Florence Italy", bound exclusively to the manufacturing of women's shoes and just for the USA market; in the rectangularly shaped logo, the last name of the artist was bound to that of Florence, almost to point out the artistic origins of the masterpieces which are his shoes. 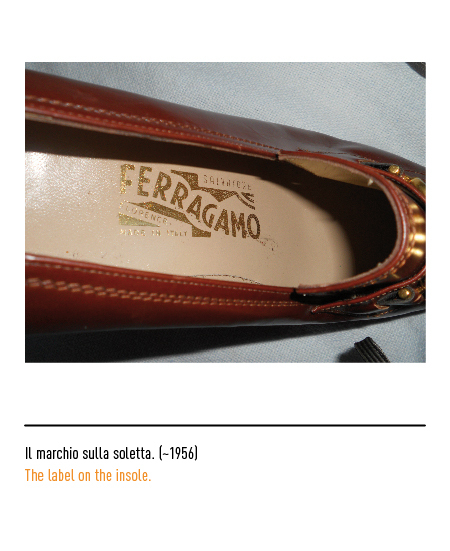 In 1938, due to a growth in production, Ferragamo acquires the Palazzo Spini Feroni in Florence as headquarters of his offices. 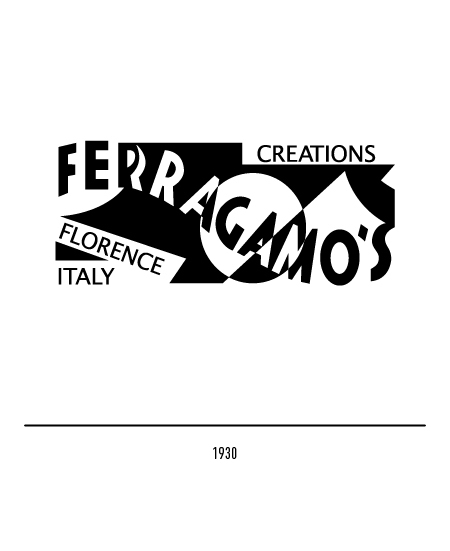 In the early fifties, to celebrate his first parade in Florence, the tag-logo was slightly restyled: the black-white contrast is lightened and the name of the fashion designer appears too. 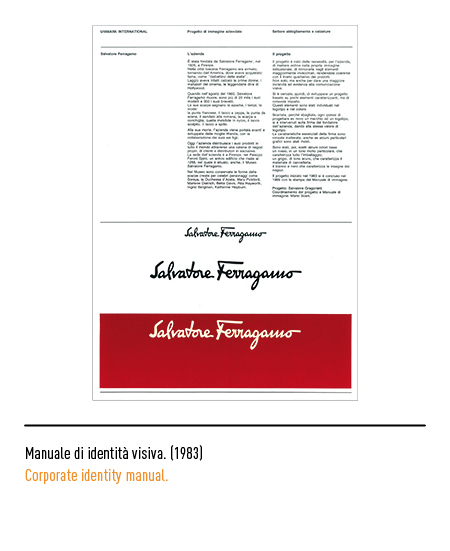 In 1958 the "hook" appears for the first time on one of the purses: even though it is not and never will be the official logo of the brand, it is still very recognizable, due to its presence on most of the products; legend has it that Ferragamo was inspired by the gate of Palazzo Spini Feroni. 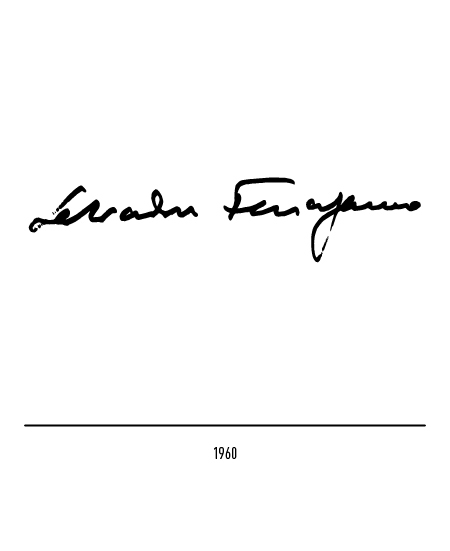 In 1960, after the death of the founder, the logotype with his signature appears. 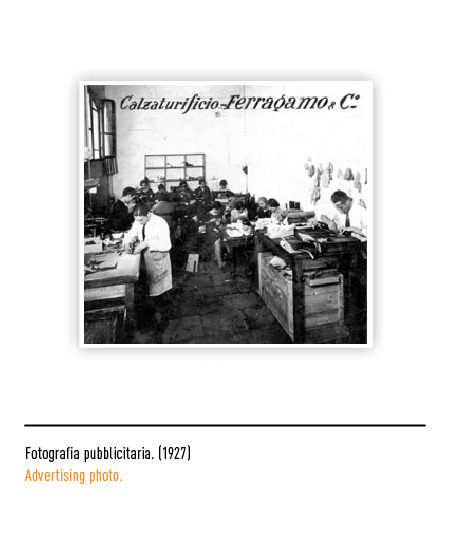 The company was left in the hands of his wife and his six children who, once they became eligible, covered key roles in the administration of the company, also contributing to its expansion. 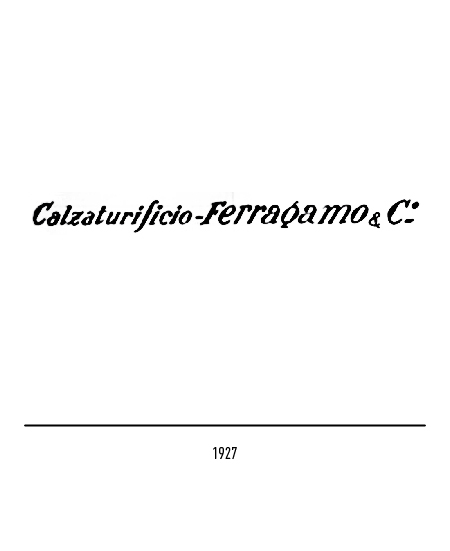 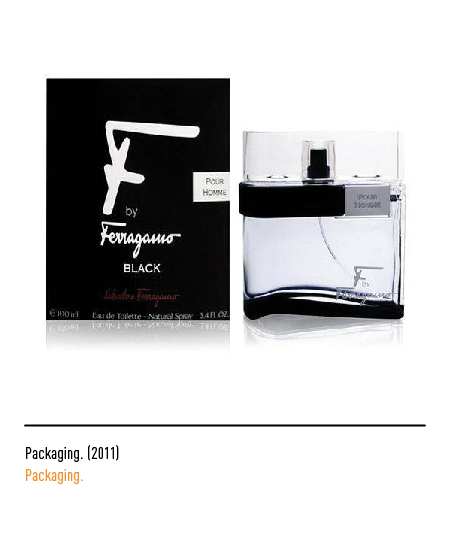 In 1982 a new restyling simplifies the founder's signature; the first letter "F" was used as inspiration for some decorated cloths and as name for a perfume. 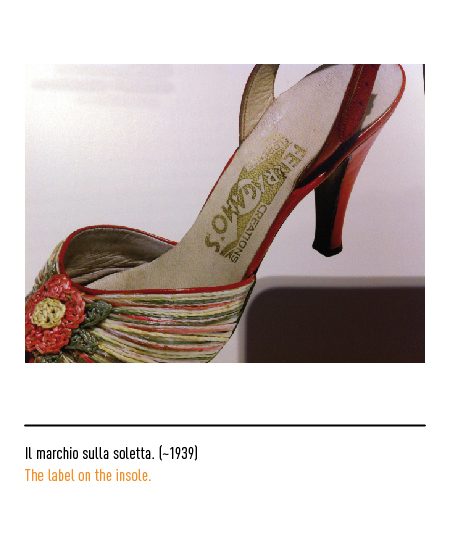 Ilaria Danieli, Rosa Chiesa, SCARPE, Rizzoli, Milano, 2010. 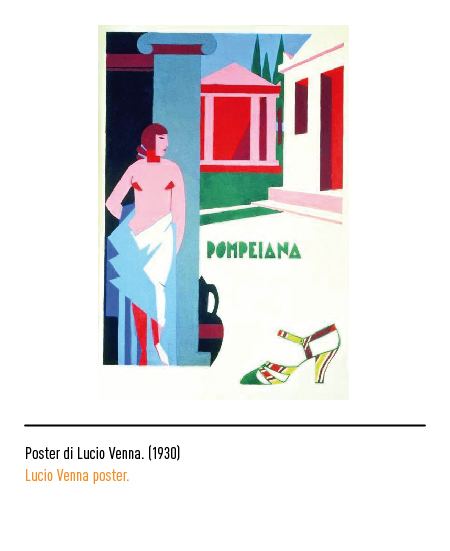 Stefania Ricci, IL CALZOLAIO DEI SOGNI, Skira, Milano, 2010. 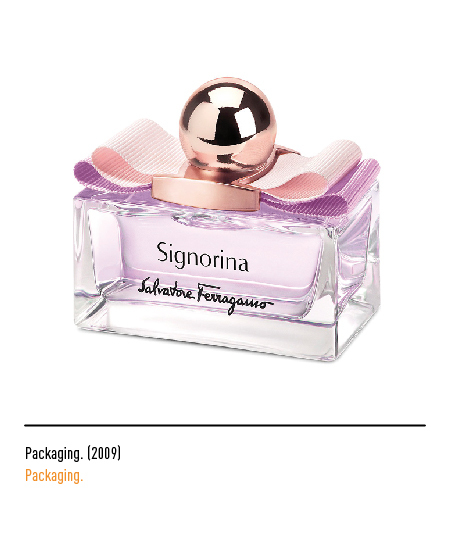 Stefania Ricci, SALVATORE FERRAGAMO. 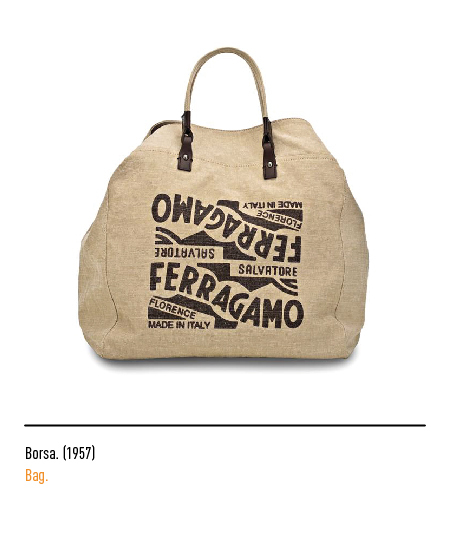 EVOLVING LEGEND 1928-2008, Skira, Milano, 2008. 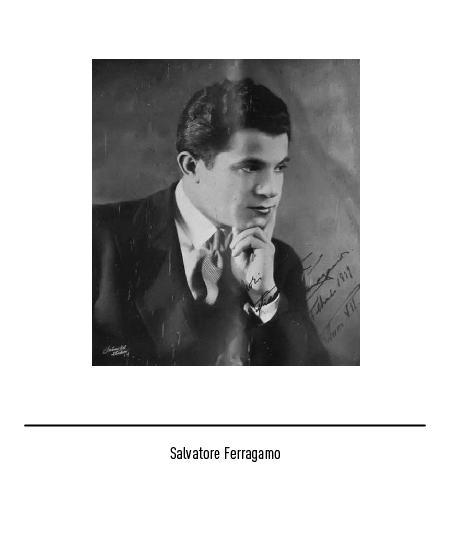 AAVV, SALVATORE FERRAGAMO. 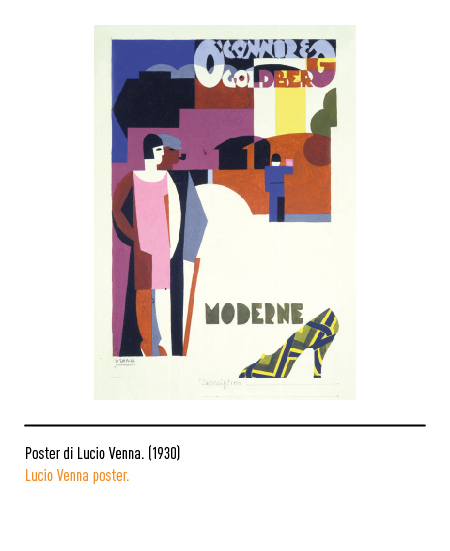 ISPIRAZIONI E VISIONI, Skira, Milano, 2011. 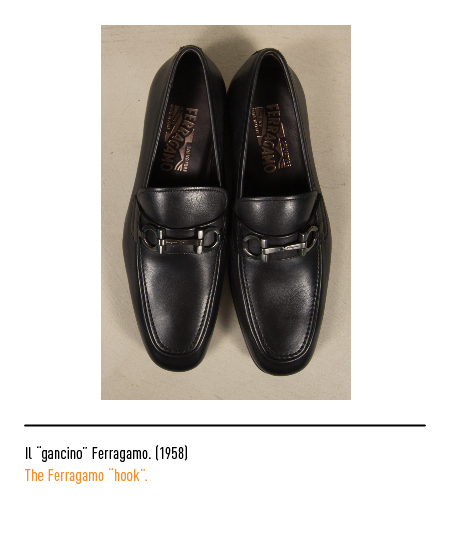 Francois Baudot, FERRAGAMO. 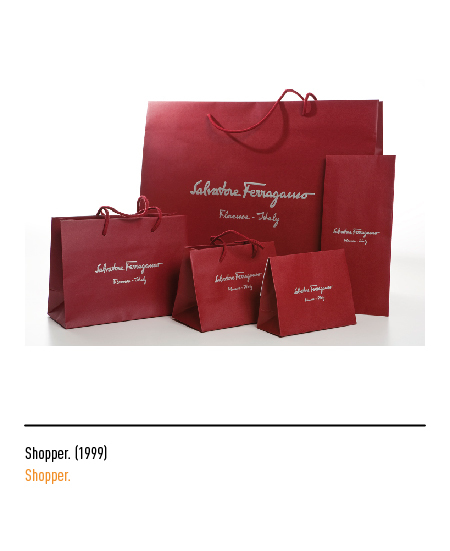 UNIVERSE OF FASHION, Vendome Pr, 2001.